Washington • Dow Chemical is pushing a Trump administration open to scrapping regulations to ignore the findings of federal scientists who point to a family of widely used pesticides as harmful to about 1,800 critically threatened or endangered species. 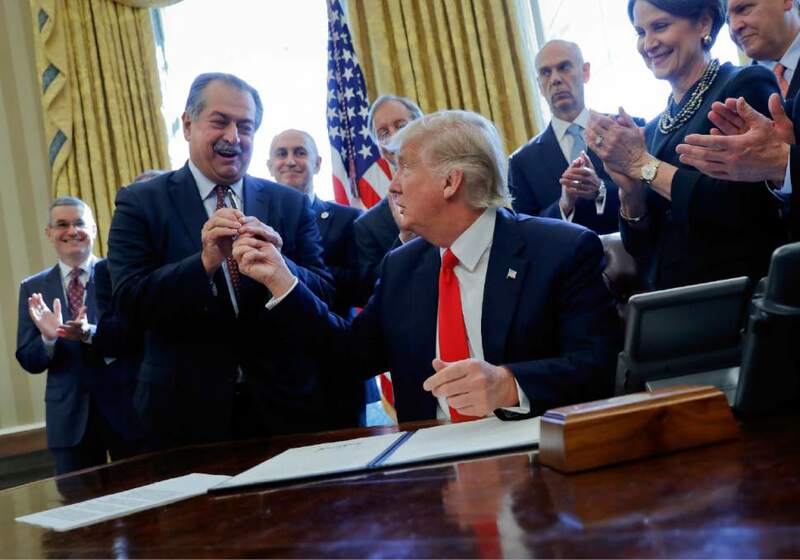 Lawyers representing Dow, whose CEO is a close adviser to Trump, and two other manufacturers of organophosphates sent letters last week to the heads of three of Trump&apos;s Cabinet agencies. The companies asked them "to set aside" the results of government studies the companies contend are fundamentally flawed. Dow Chemical wrote a $1 million check to help underwrite Trump&apos;s inaugural festivities, and its chairman and CEO, Andrew Liveris, heads a White House manufacturing working group. The industry&apos;s request comes after EPA Administrator Scott Pruitt announced last month he was reversing an Obama-era effort to bar the use of Dow&apos;s chlorpyrifos pesticide on food after recent peer-reviewed studies found that even tiny levels of exposure could hinder the development of children&apos;s brains. In his prior job as Oklahoma&apos;s attorney general, Pruitt often aligned himself in legal disputes with the interests of executives and corporations who supported his state campaigns. He filed more than a dozen lawsuits seeking to overturn some of the same regulations he is now charged with enforcing. Pruitt declined to answer questions from reporters Wednesday as he toured a polluted Superfund site in Indiana. 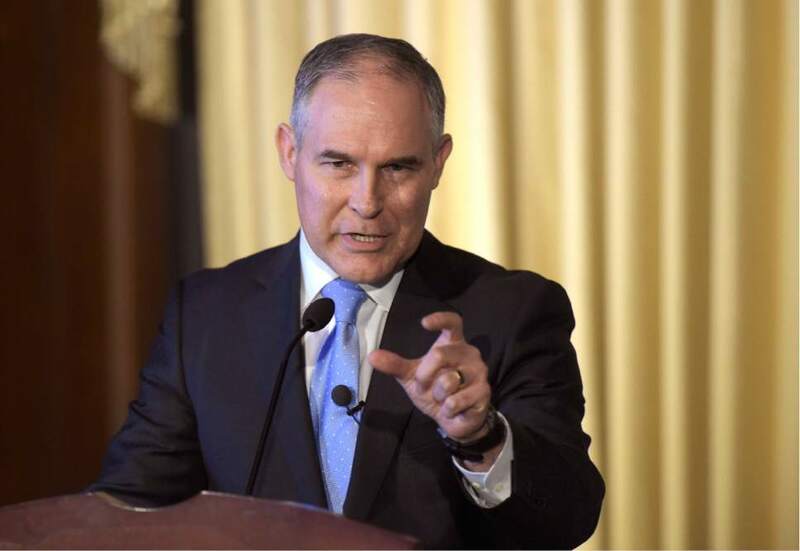 A spokesman for the agency later told AP that Pruitt won&apos;t "prejudge" any potential rule-making decisions as "we are trying to restore regulatory sanity to EPA&apos;s work." Over the past four years, government scientists have compiled an official record running more than 10,000 pages indicating the three pesticides under review  chlorpyrifos, diazinon and malathion  pose a risk to nearly every endangered species they studied. Regulators at the three federal agencies, which share responsibilities for enforcing the Endangered Species Act, are close to issuing findings expected to result in new limits on how and where the highly toxic pesticides can be used. "We have had no meetings with Dow on this topic and we are reviewing petitions as they come in, giving careful consideration to sound science and good policymaking," said J.P. Freire, EPA&apos;s associate administrator for public affairs. "The administrator is committed to listening to stakeholders affected by EPA&apos;s regulations, while also reviewing past decisions." 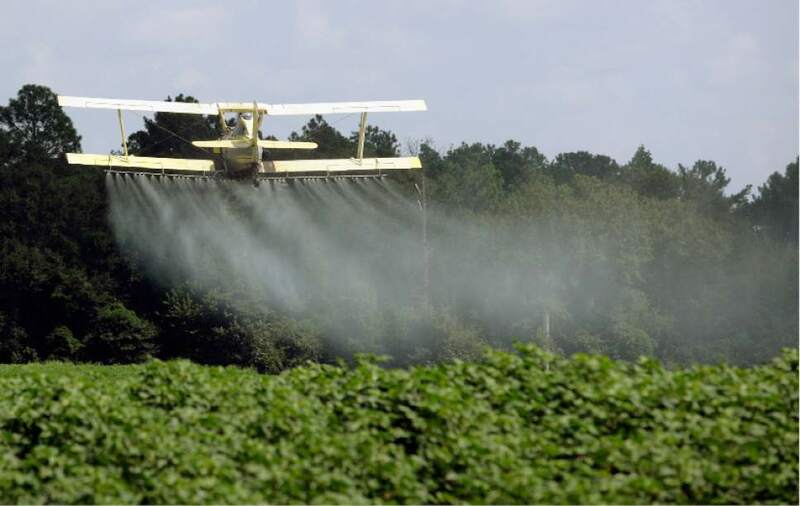 The EPA&apos;s recent biological evaluation of chlorpyrifos found the pesticide is "likely to adversely affect" 1,778 of the 1,835 animals and plants accessed as part of its study, including critically endangered or threatened species of frogs, fish, birds and mammals. Similar results were shown for malathion and diazinon. 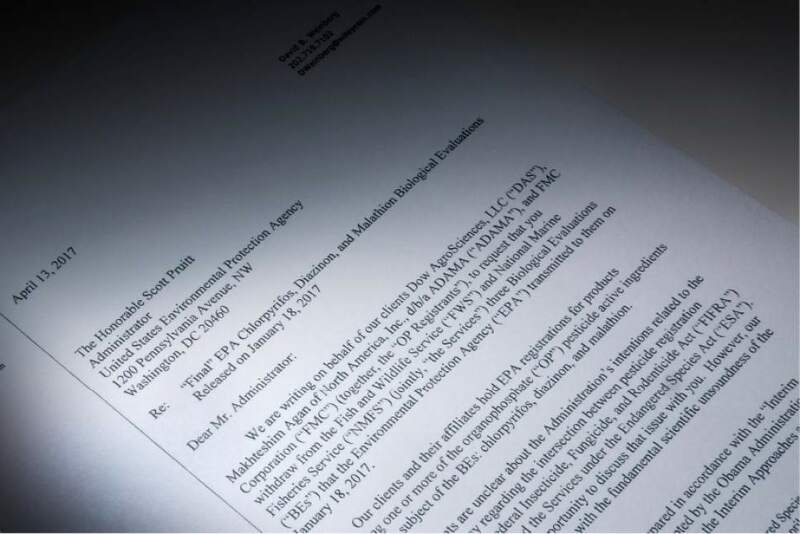 In a statement, the Dow subsidiary that sells chlorpyrifos said its lawyers asked for the EPA&apos;s biological assessment to be withdrawn because its "scientific basis was not reliable." Environmental advocates said Wednesday that criticism of the government&apos;s scientists was unfounded. The methods used to conduct EPA&apos;s biological evaluations were developed by the National Academy of Sciences. Brett Hartl, government affairs director for the Center for Biological Diversity, said Dow&apos;s experts were trying to hold EPA scientists to an unrealistic standard of data collection that could only be achieved under "perfect laboratory conditions." "You can&apos;t just take an endangered fish out of the wild, take it to the lab and then expose it to enough pesticides until it dies to get that sort of data," Hartl said. "It&apos;s wrong morally, and it&apos;s illegal." Dow, which spent more than $13.6 million on lobbying in 2016, has long wielded substantial political power in the nation&apos;s capital. There is no indication the chemical giant&apos;s influence has waned. When Trump signed an executive order in February mandating the creation of task forces at federal agencies to roll back government regulations, Dow&apos;s chief executive was at Trump&apos;s side. "Andrew, I would like to thank you for initially getting the group together and for the fantastic job you&apos;ve done," Trump said as he signed the order during an Oval Office ceremony. The president then handed his pen to Liveris to keep as a souvenir. Rachelle Schikorra, the director of public affairs for Dow Chemical, said any suggestion that the company&apos;s $1 million donation to Trump&apos;s inaugural committee was intended to help influence regulatory decisions is "completely off the mark."